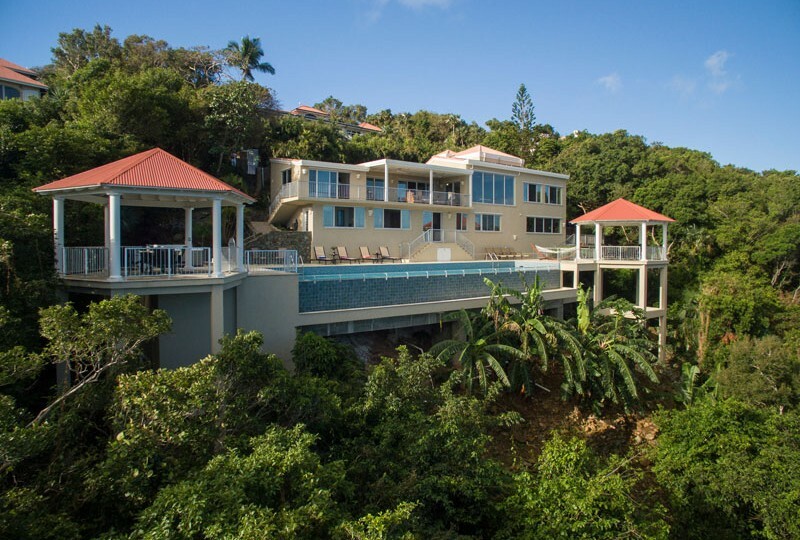 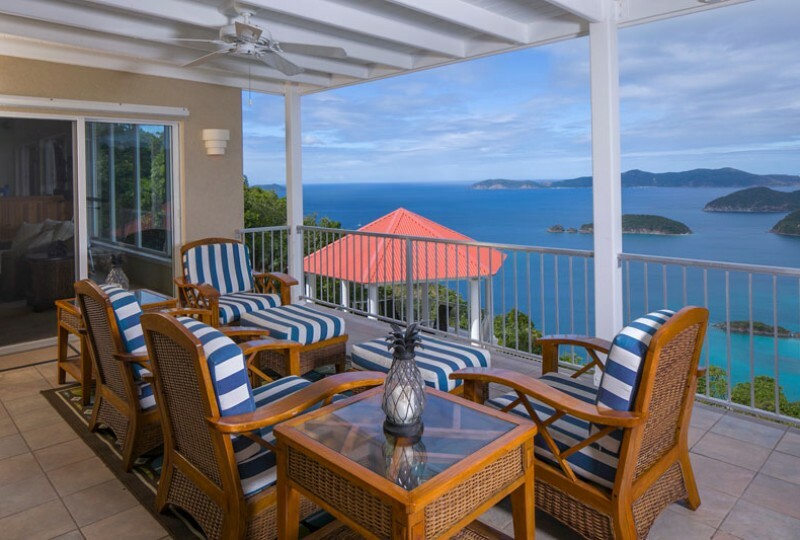 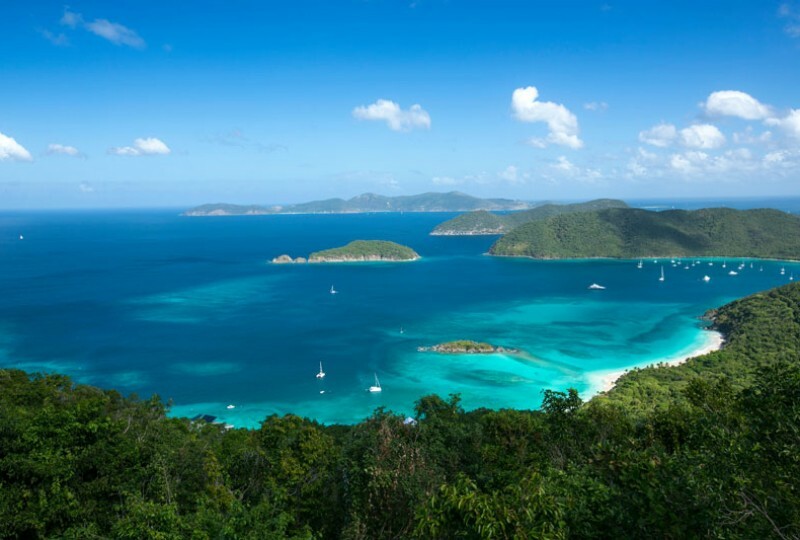 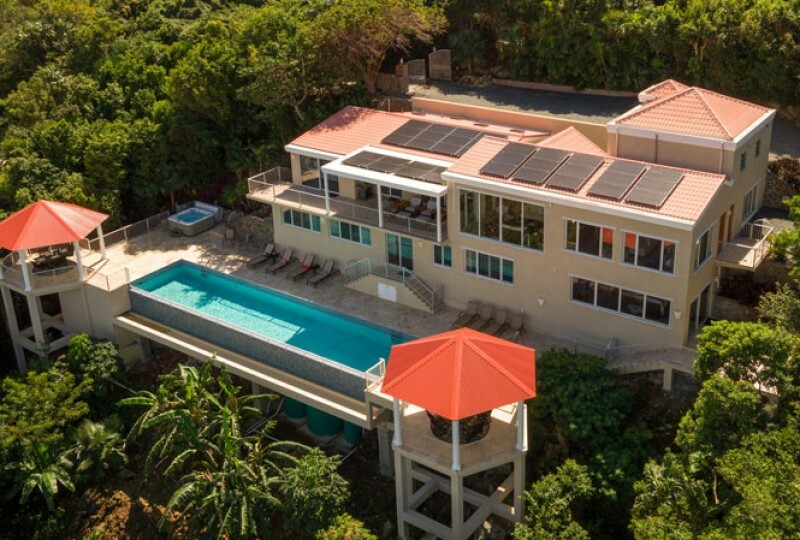 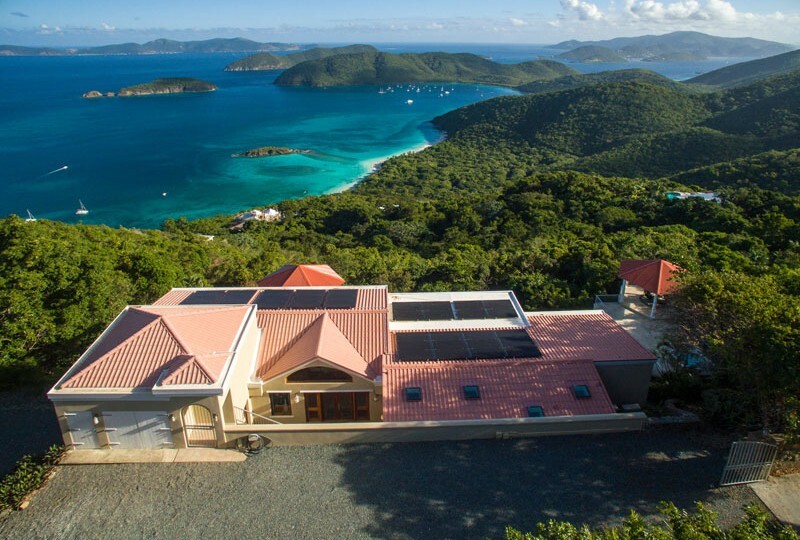 Great Escape is located a world away in Estate Catherineburg, nestled in the national park above Cinnamon Bay. 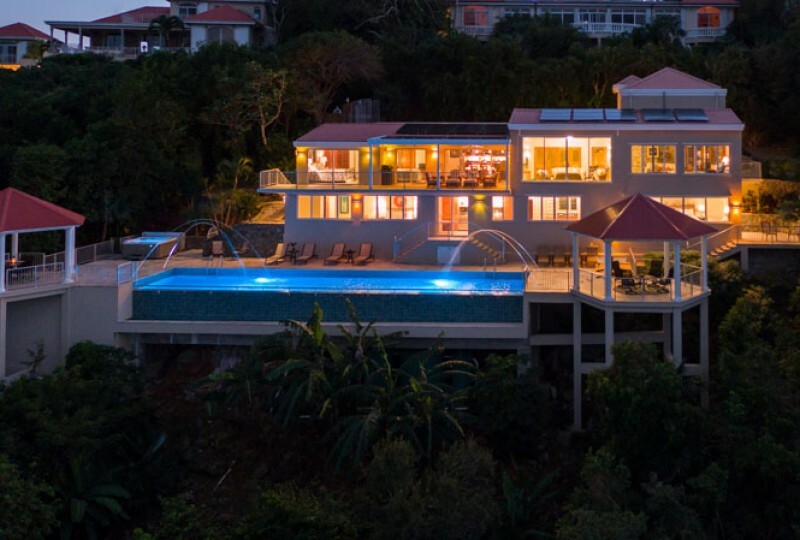 This 4 BR/4 Bath, luxury home offers a luxurious escape from reality but equipped with the technology and creature comforts you’d expect in a 5-star resort. 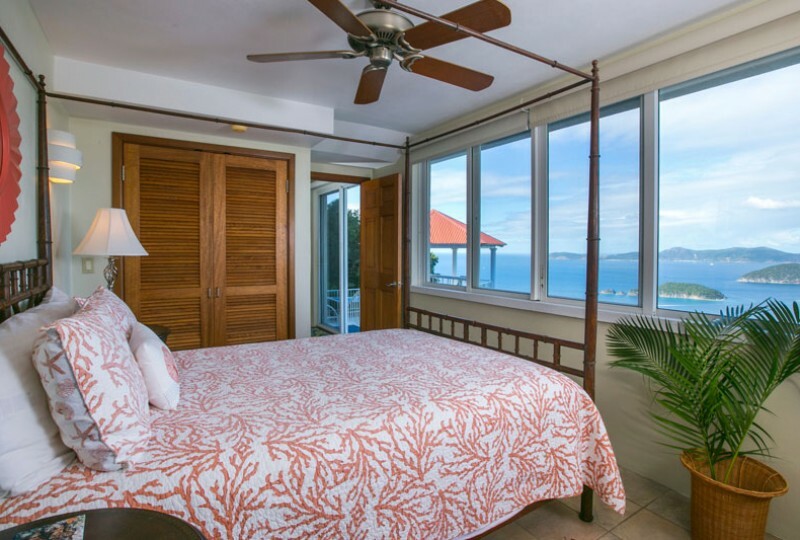 This stunning property features 4 fully air-conditioned bedrooms, 2 kings, and 2 queens all designed to take advantage of the breathtaking vistas. 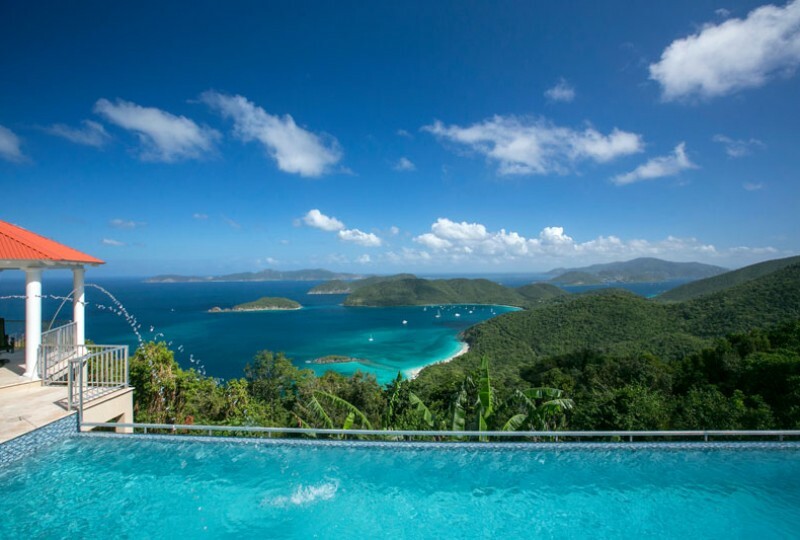 Great Escape… your escape from reality! 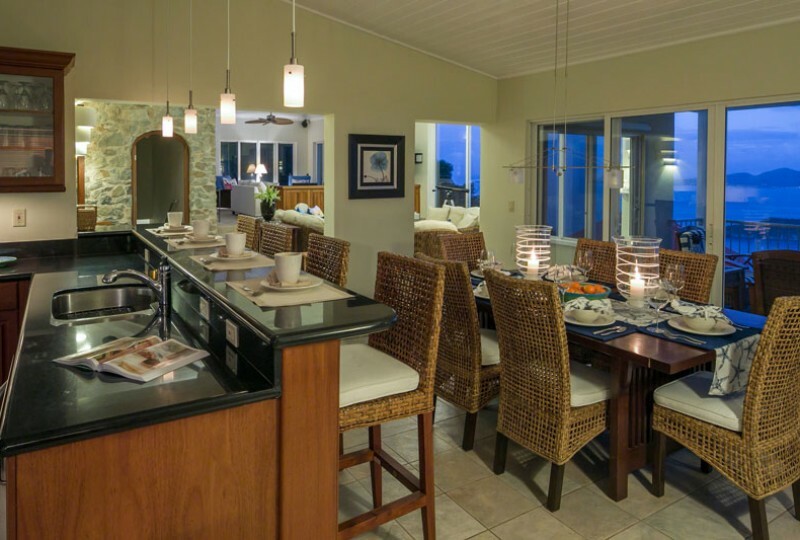 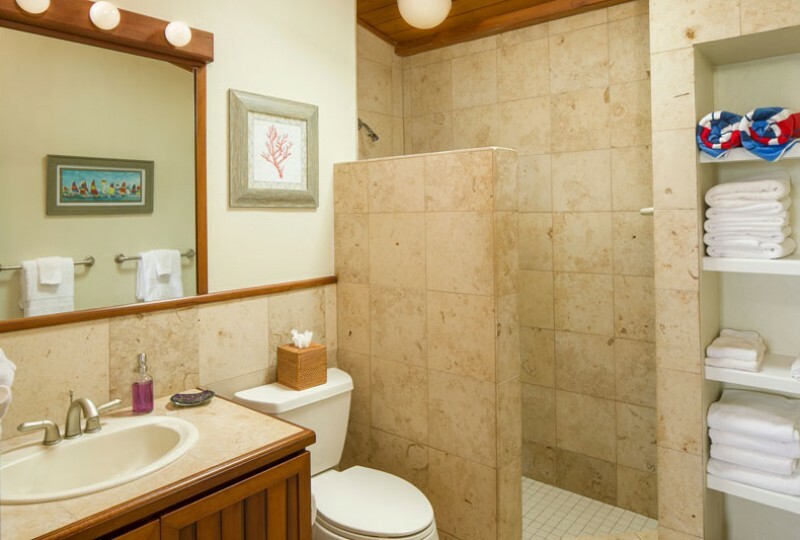 Rich, the contemporary Caribbean ambiance will draw you in from the moment you enter this house. 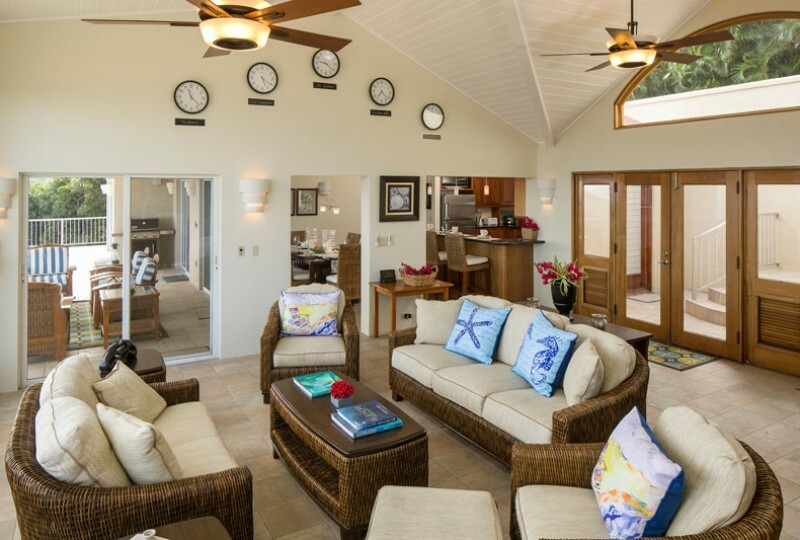 Handcrafted mahogany furnishings accent this home, as stunning as it is livable. 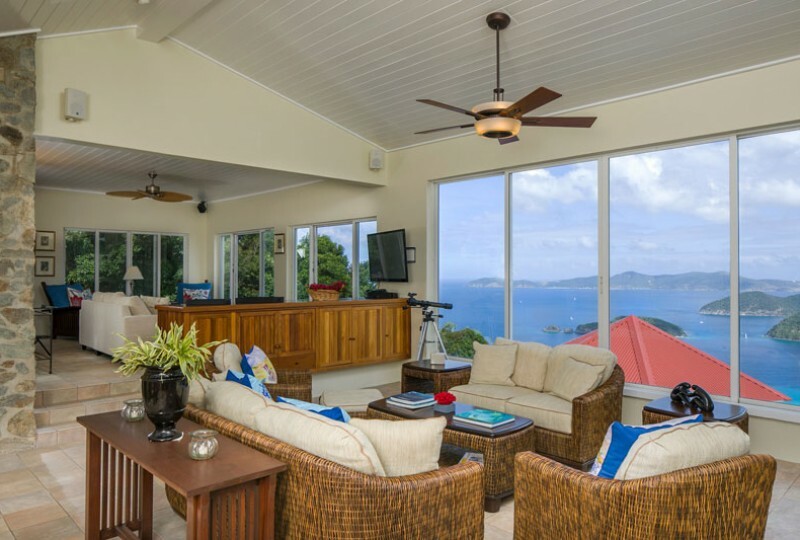 A media room is off of the main living area, for viewing the latest DVDs or videos or listening to your favorite island rhythms on the sound system. 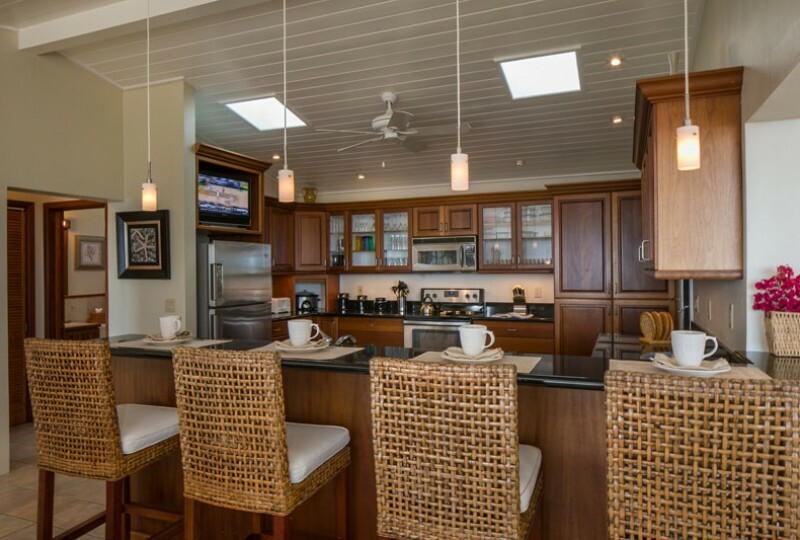 The gourmet kitchen is truly a chef’s delight, with state of the art appliances, custom mahogany cabinetry, and sleek granite countertops. 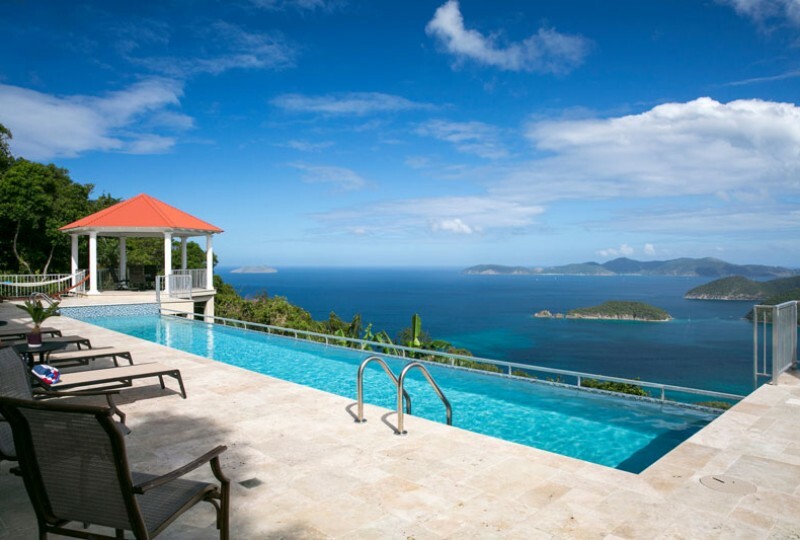 The pool deck offers entertainment of a different kind, with a 60′ x 12′ swimming pool for lounging or laps. 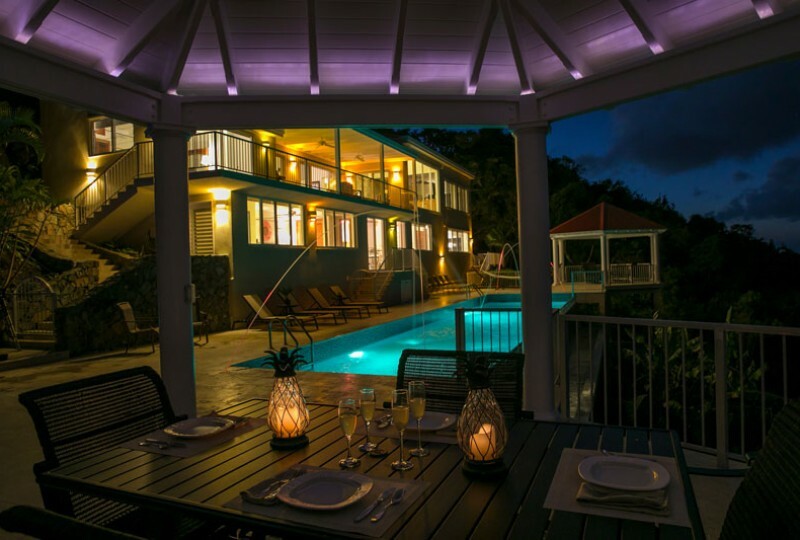 The pool features a changing light display along with color water-spouts. 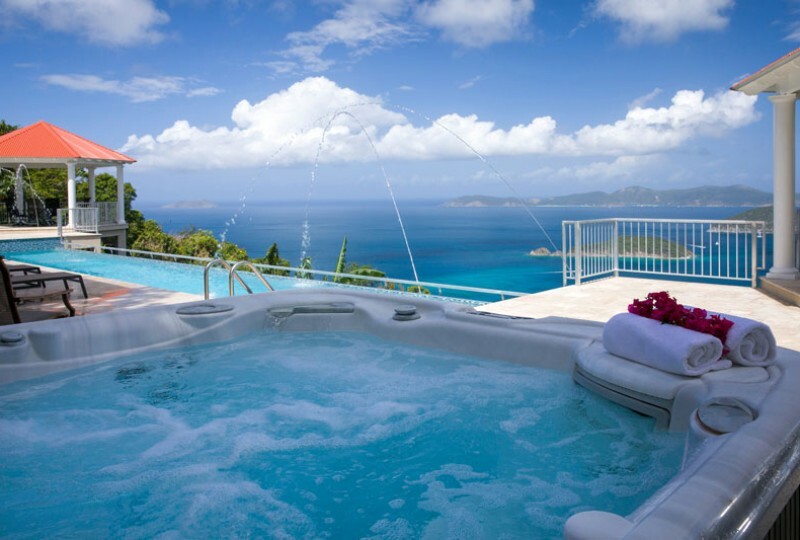 A large hot tub equipped with its own sound system and a large relaxing hammock. 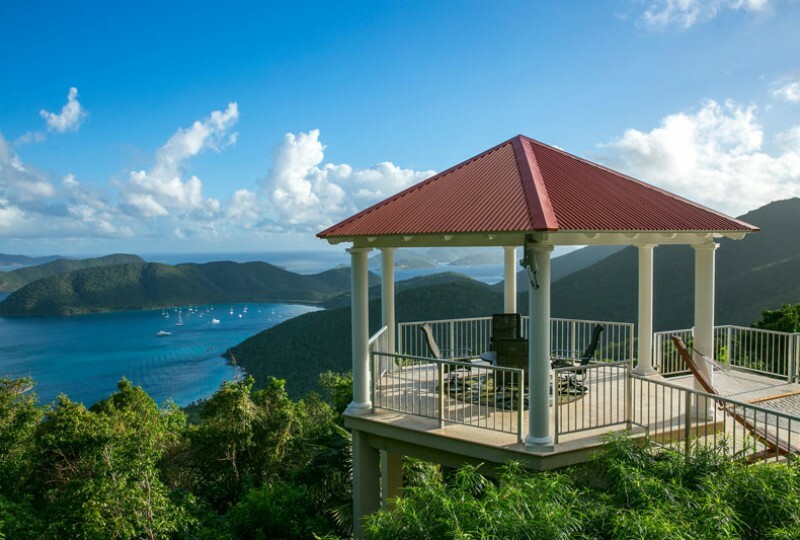 On either side of the pool are gazebos which each have a table and four chairs for soaking up that incredible view! 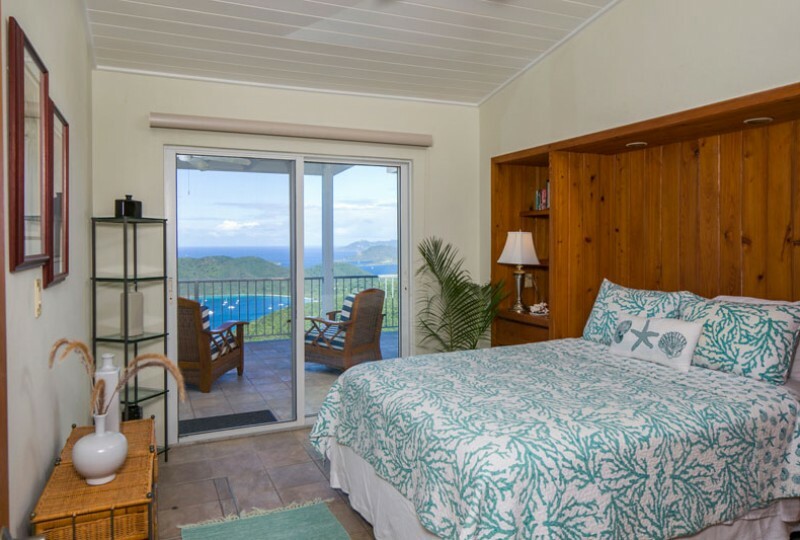 This stunning property features 4 fully air-conditioned bedroom, 2 kings, and 2 queens all designed to advantage of the breathtaking vistas at every opportunity. 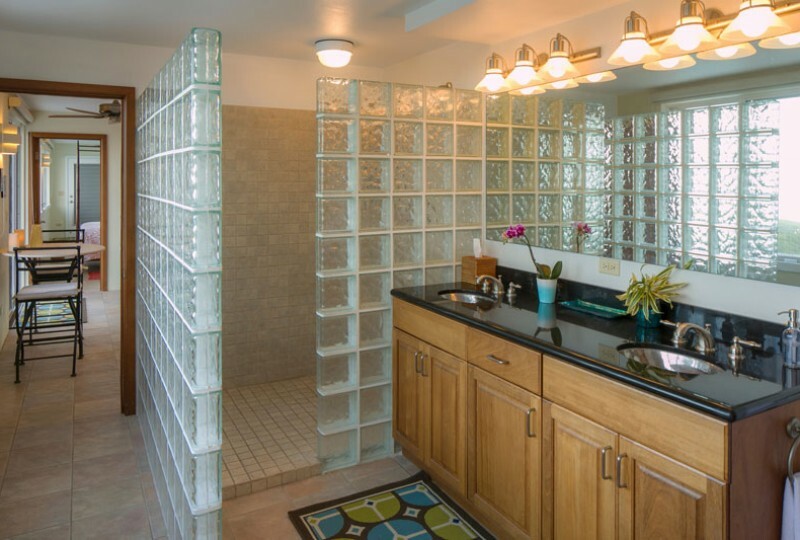 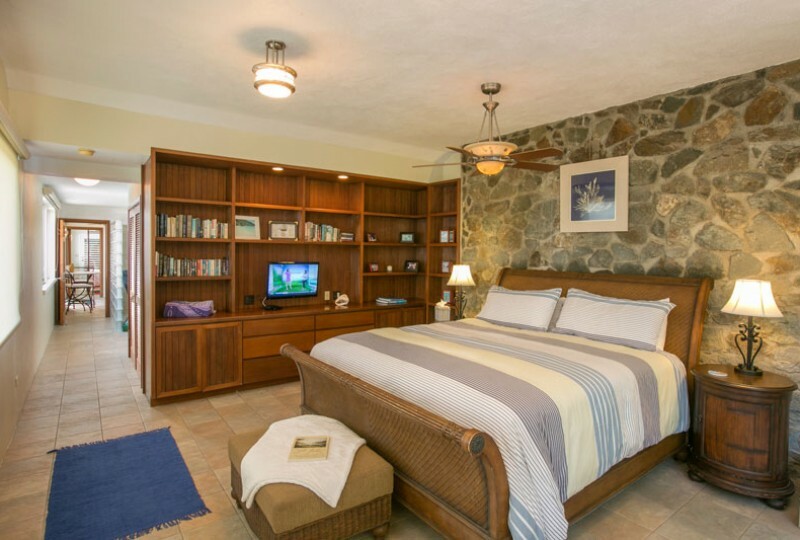 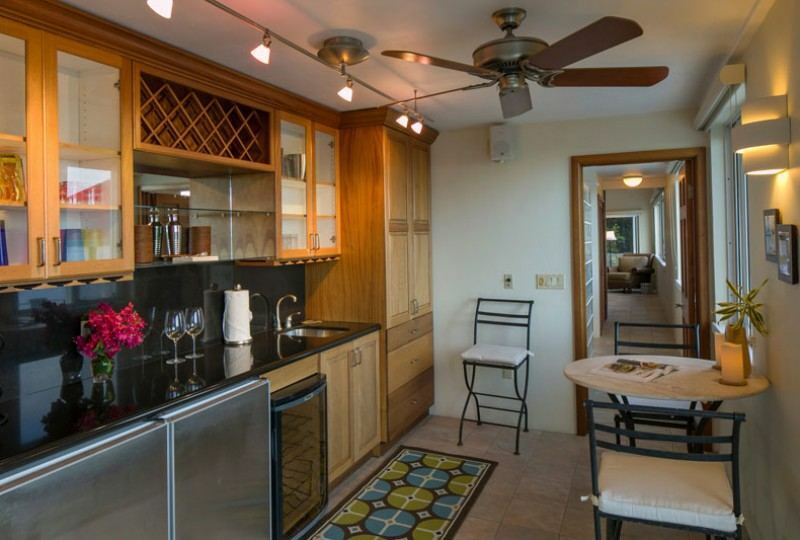 In addition, TVs are located in every bedroom and even the wet bar, so you never have to miss a favorite episode or major game while you are visiting paradise. 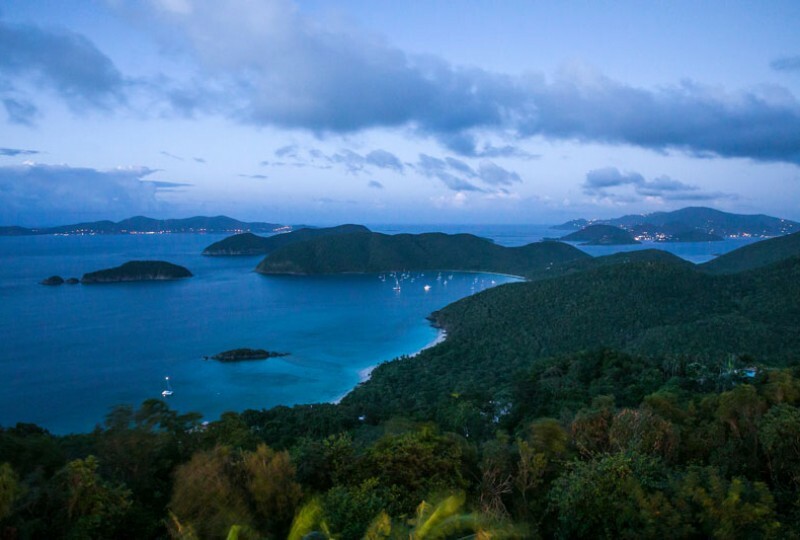 All of this, in a setting unmatched anywhere, with views to mesmerize from sunup to sundown. 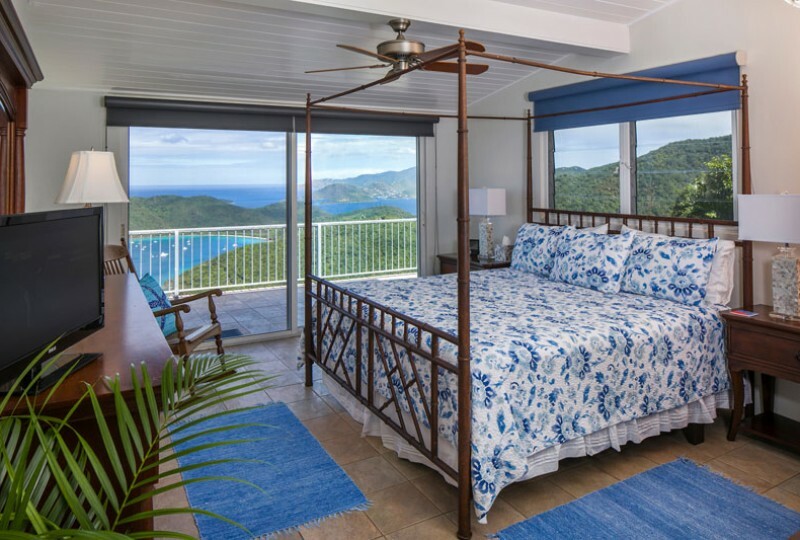 Enjoy all the creature comforts and the unforgettable sights and sound of the natural wonder which is St. John, here at Great Escape.